This place was a bit of a mixed bag. The food was good, we ordered the lamb chops and they were perfectly cooked but for $30 a plate they better be. The lentil soup it came with was creamy but had a bit of an odd aftertaste. The salad was average. The service was where we had a little trouble, they didn’t bring our drinks out after we ordered them and had to ask the waiter again to bring them. We also got no refills until we were about to leave. The main problem was when we ordered dessert, we were actually scolded by our waitress saying that we should have let her know when we sat down what we wanted for dessert despite there being no indication that that’s how it should be done. I understand that we were there at the end of their operating hours but there were other parties there that arrived later than us so it was not like they were about to close. 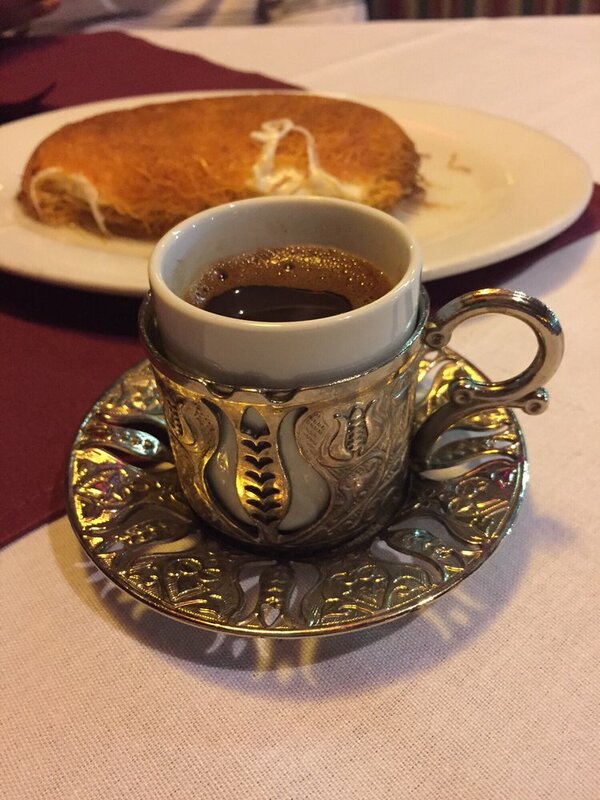 The coffee is very strong and sweet as Turkish coffees are. Our dessert, the Kunefe, was rather exotic. I liked the cheese but it needed a little more sweetness. So go for the food, if you are willing to spend the money, and hopefully you will have better service than us. I like your review style, Silvia. Very authentic :). Would love to feature your reviews in our weekly curated email digest that goes out to thousands of people. Is it a local publication? What kind of reviews are you looking for? Awesome, thanks :). Someone should be reaching out to you shortly with the details if they haven’t already. Let me know! Previous PostKorean Inspired Pancakes, The Breakfast Of Champions!